Today I gonna show you my last purchase from Avon. I got eyeshadows in color glitz & glamour, blusher in color soft plum and nail polish violetta sparkle. The rest three colors are very pigmented, very creamy and have very nice and smooth texture. 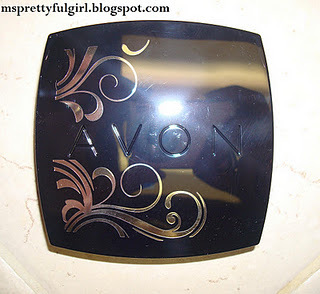 But unfirtnately it is very hard to catch the right color of the eyeshadow on the camera :( For more true colors you may again visit http://msprettyfulgirl.blogspot.com/2011/12/buy-blog-avon.html The interestng fact I noticed that msprettyfulgirl has totally opposite opinion about these eyeshadows ( I believe there is a difference in manufacturing place). I think these are definitely worth the price (I don`t remember precise, but it was 7-9$). The actual color is a bit warmer and has chic golden shimmer. The blusher is soft and smooth. It blends out easily and what is interesting - the brush is not so bad as the usual brushes coming with blushes :) I will pay more attention to the Avon blushes (but I think the color selection is pretty poor for the moment). The color is rich plum with quite big golden glitters. I have not tried it on my nails yet but I love the quality of the nail polishes by Avon.